It's never been so easy to prepare hot milk and froth - straight into the cup, or a separate container, at the push of a button. The Cappuccinatore draws the milk from a separate container via a tube. In seconds it heats or froths the milk directly into the glass or cup. 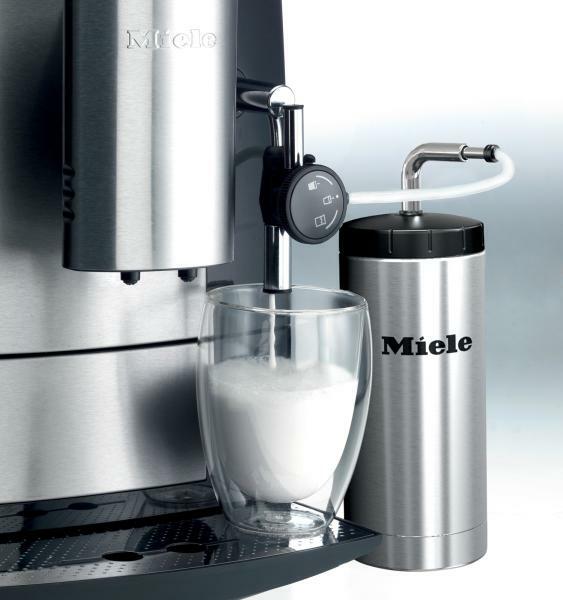 Unbelievably easy to clean under running water, the Miele Cappuccinatore allows you to enjoy delicious cappuccino or latte macchiato at its best - quick and easy.